FBCG: It’s My Park Day Saturday, March 4, 2017 9-12 Register Today! 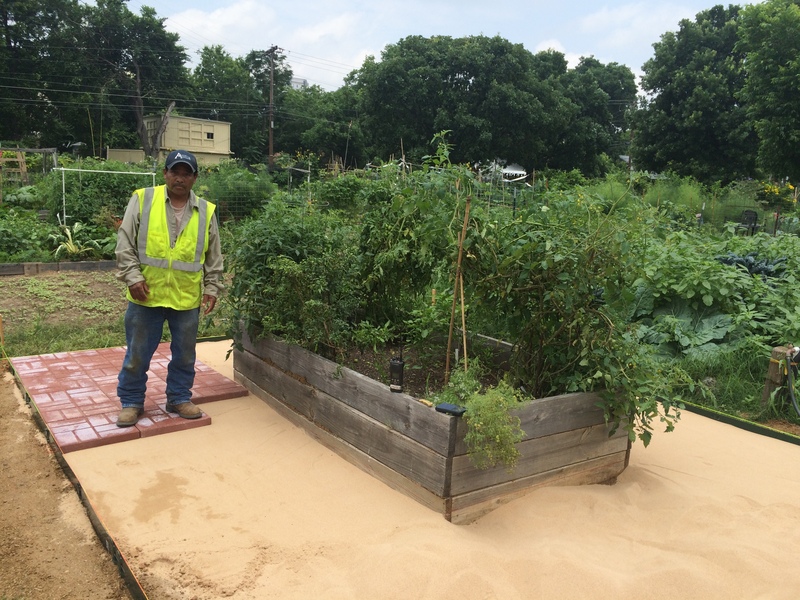 Ready to be part of a city wide effort to maintain our city’s parks? For the 15th year, Austin Parks Foundation is hosting It’s My Park Day on Saturday March 4th. 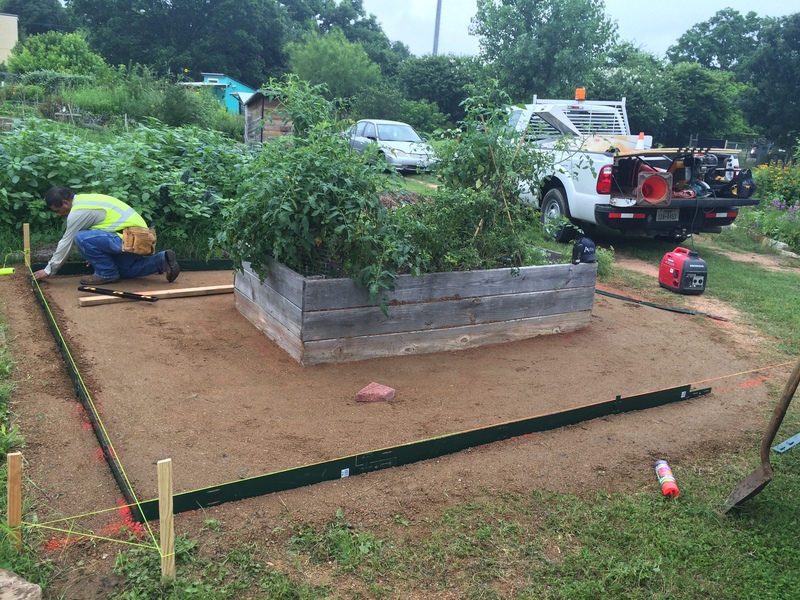 As part of this great event, we’re hosting a park project at Festival Beach Community Garden from 9 am to 12 pm. We’ll be working on path maintenance, removing invasives, and mulching trees and we need your help! Volunteer registration is open and we’d love for you to join us. Register online today at GivePulse. You must register online in order to receive a free t-shirt and other goodies. Plus, we’ll have coffee from Texas Coffee Traders and snacks from Wheatsville! Spend a lovely Saturday morning in the garden plus you’ll get your work hours in and meet new people. We have our monthly workday this Saturday October 8th from 8 am to 11 am. We have a bunch of tasks to work on in our communal areas. 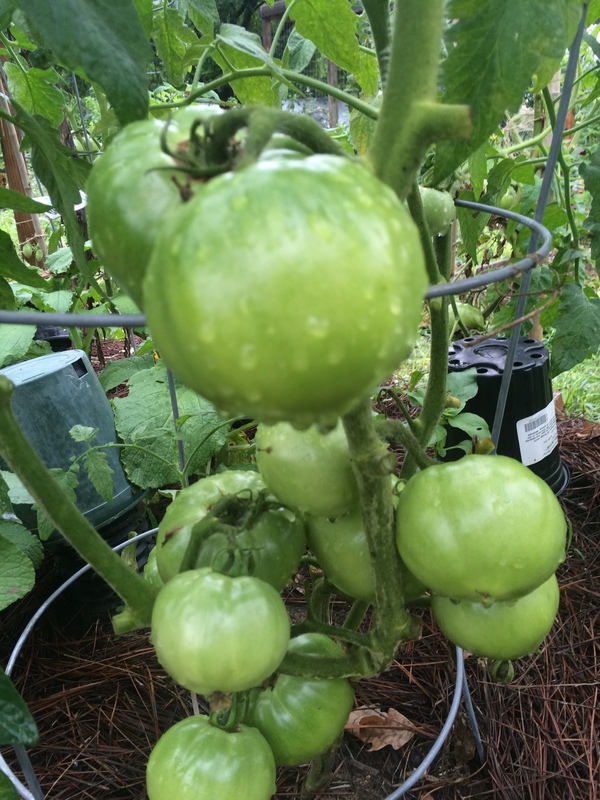 This is a great opportunity to meet fellow gardeners and volunteers, complete your work hours for the month, and support the garden by buying veggie transplants and perennials at the plant sale. Thanks and hope to see you Saturday! Calendar, In The Neighborhood, Que Paso? Hey Fellow Gardeners, can’t miss our veggie plant sale this Saturday, October 8th at the garden! Tell your friends and neighbors to come along. Work will be done in the perennial and asparagus beds. Please bring paper yard bags to help dispose of stickers and nut grass. All volunteers need to wear long sleeves (thin/breatheable), closed toe shoes and a hat and bring a water bottle. A word from the Compost Team: All weeds, EXCEPT STICKERS AND NUT GRASS, go on the weed compost pile north of the shed. Please put weeds on top of the pile, rather than on the outside edges. This helps keep the pile from sprawling outwards. Thanks. 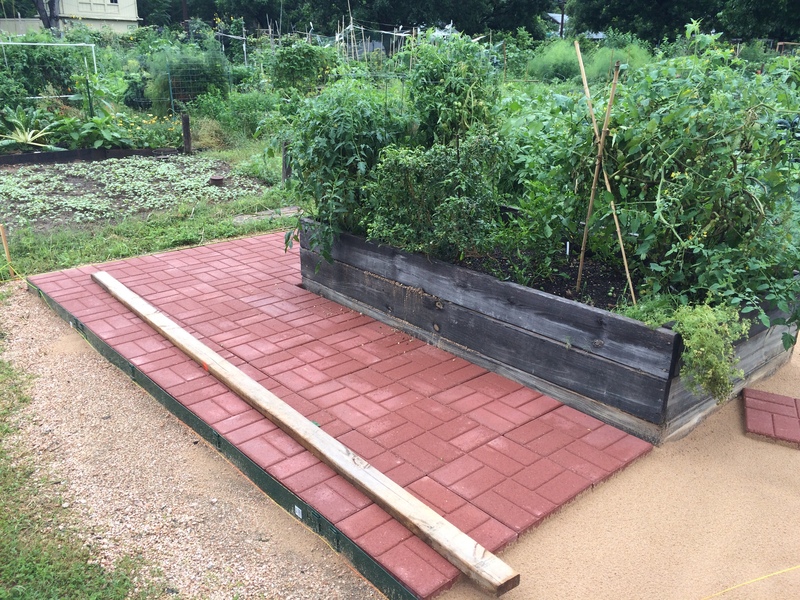 With labor provided by the City of Austin PARD, and funding by FBCG, we were able to pave and improve the accessibility to a gardening bed in section A. 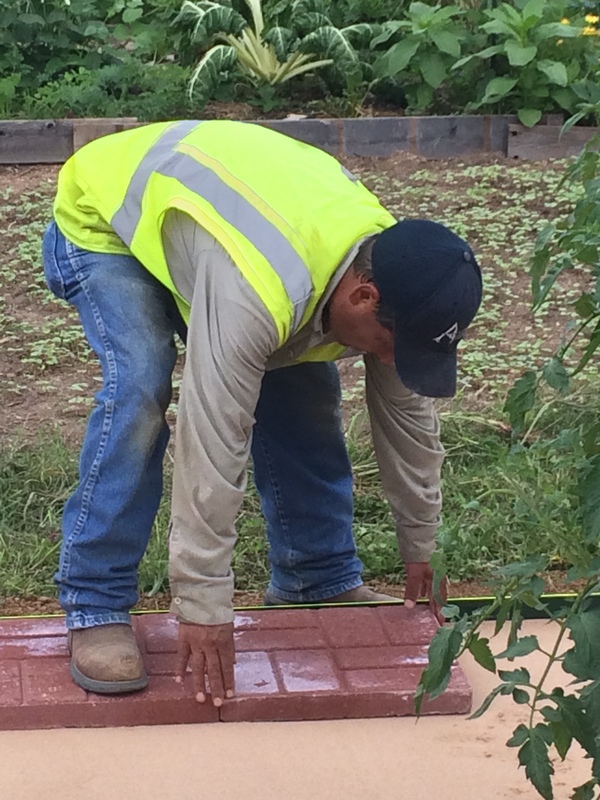 A special thank you to all and also to Felix Padron, the construction chief for PARD. Mark your calendars for the following fun, fun workdays! The Green Teens have had a wonderful year exploring the outdoors. While hiking, fishing, rock climbing, and gardening at Festival Beach Community Garden, students captured the moments with digital cameras. By placing a camera in the hands of students, a beautiful surprise emerged – their natural photographic eyes were awakened. We now have a large collection of compelling nature photographs. The photos will be exhibited at our Keep Austin Beautiful office. To commemorate the exhibit, we are hosting a reception at our Keep Austin Beautiful office. I would like to personally invite you to join us, Green Teens, and their families to view first-hand the nature-inspired and technology-powered exhibit. I am extremely proud of the Martin Green Teens in particular and their work with the cameras. 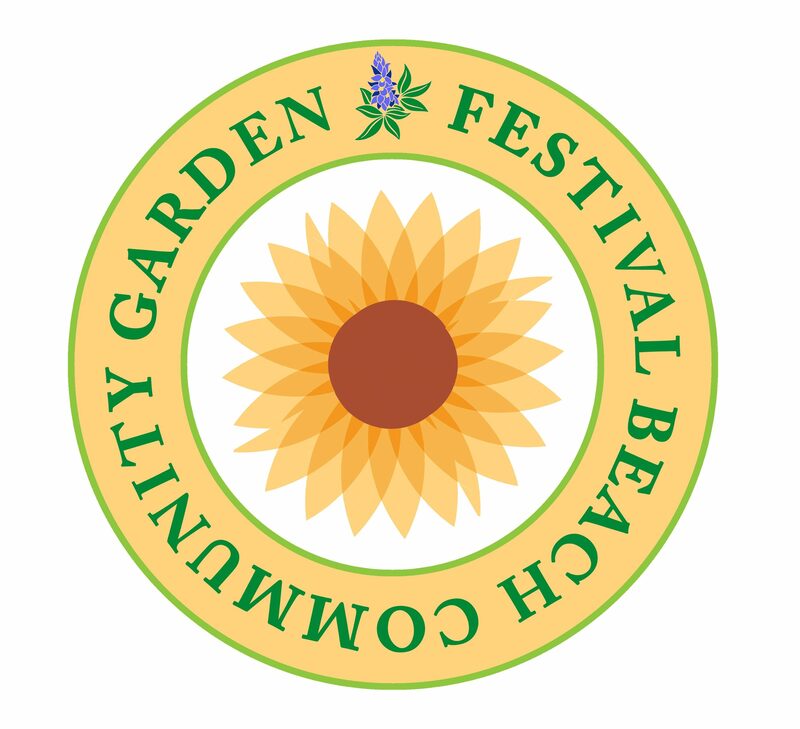 A large part of the exhibit will be photos taken by Martin Middle School Green Teens and many of their photos were taken at Festival Beach Community Garden! I know they will be so excited to share their work with you.